Spring has finally arrived! I don’t know about but some days it felt like winter would stay forever. But sunny days, spring breeze and fresh greens are in the current and upcoming forecast. Now that the winter blues have gone away and spring is here to stay it is time to start your spring cleaning. 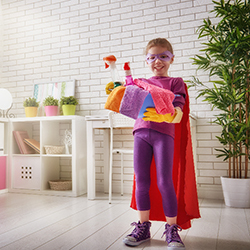 Spring cleaning is a great way to get rid of items that are not needed and give your house a fresh start for the spring and summer months ahead. We are here to make your spring cleaning a little easier and a little more fun with a spring cleaning checklist. 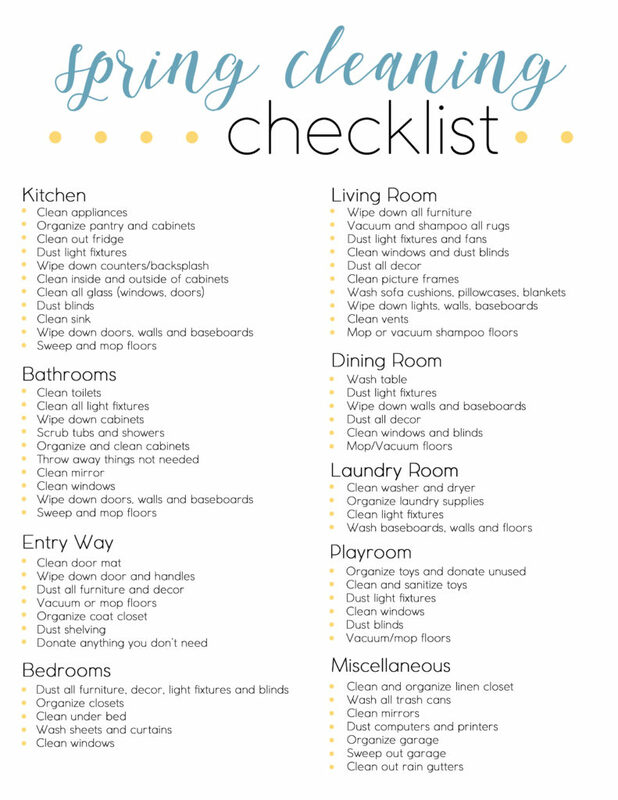 To download our FREE Spring Cleaning Checklist printable click here. Once you have your checklist printed, head into one of our stores for all your spring cleaning needs. With warmer weather it’s time to open the windows, let in the fresh air and start your spring cleaning. This time of year our homes need more than vacuuming, sweeping and dusting. Now is a great time to organize closets, dust the blinds and clean the garage. Make a realistic check list so you can mark off those assignments as they are finished. Choose one room at a time to arrange, deep clean and organize. All of these items can be found at any of our locations and remember to check the weekly ad for additional savings. Get ready to start tackling those cleaning projects you have been putting off during the cold winter days. Though it may not feel like it, spring is just around the corner. That means it’s time to get ready to go through not only your closet, but your pantry and fridge as well. Here are our favorite methods to make your fridge and pantry sparkle. Cleaning out the fridge is something you can do section by section or all in one go. Either way you prefer, start with taking everything out and sorting through what is still good to eat, and what is ready to be tossed or recycled. If you’re feeling a little bit extra, sort the remaining food into groups so that it is easier to restock.Similar to the fridge, it is important to take everything out of the pantry. While you are doing so, be sure to sort the food into a “keep” and “discard” pile. Some foods in the pantry tend to go unchecked for quite some time. Remember, the sell-by date is not the only rule to follow. Be sure to do the “smell test” on your spices and oils. Fun fact: you can use the same technique of mixing water and soap to clean your pantry and fridge. For tougher stains, use baking soda or a mixture of water and vinegar. These methods allow you to avoid using any kind of bleach and are food safe. Restocking your fridge is the best time to organize it to perfection. Each section of your fridge has a purpose. Be sure to store produce in the humidity drawer, condiments and drinks in the door, leftovers and dairy on the top shelf, and meats and eggs on the bottom shelf for optimal freshness.When restocking your pantry, it is important to find the best storage for each product. It is best to store baking ingredients (i.e. flour and sugar), cereals, granola, and other grains in airtight containers. This will give you the longest shelf life for these items. All other products can be stored in their original containers. 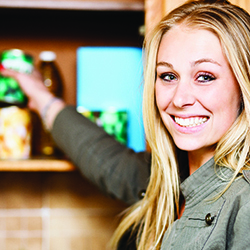 Now that you are an expert on spring cleaning your pantry and fridge, get to it and enjoy it! 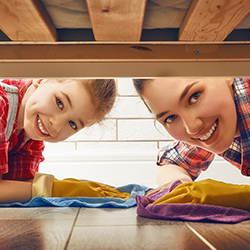 When we have so much to do around our homes – laundry, dishes, dusting just to name a few – and it can add up to many different household products. If you are needing to stock up on your supplies now is the time. During the month of July when you spend $25 in cleaning supplies* you will save $5 automatically when you are a rewards member. 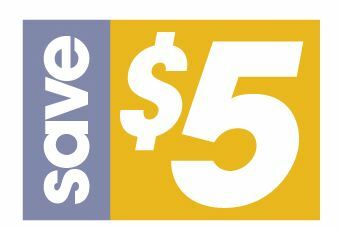 Just remember to use the phone on your rewards account during checkout to save $5. *Excludes paper towels, dish cloths and dish towels. $25 must be spent in one transaction. Promotion expires July 31, 2015.